It doesn't take much convincing that Jenna Rose has the potential to be a great pop star. Not only does she have an incredible voice and star quality but she is amazing to watch live. 15 year old, Jenna has changed a lot as she’s made her way to teen superstardom. Her sound has changed throughout the last five years, and she is working hard to make sure everyone knows it. With her more grown up sound, the songs she sings are really diverse, many of them catchy. Her voice has gotten stronger and her lyrics more mature. Her current songs reveal what it’s like to be a teenager in 2014. What I like best about Jenna is her ability to sing. As she’s matured, her voice has become really powerful with intense focus and range. Jenna has done a tremendous job of choosing songs that suit her voice and style as it has evolved. Her most recent song “Forget you” is a perfect example. DigiFest and Reality Dance Jam tours. Jenna Rose's talent is shining through brightly and she is working hard to avoid becoming a passing fad. I recently had the privilege of meeting the beautiful and musically talented Carrie Lane. It quickly impressed me that somebody so young seems so clear about who she is and how she wants to represent herself. Only in her twenties, Carrie exudes passion and enthusiasm with an incredible display of talent. Her passion: Carrie says, “I've always been inspired to be a role model who projects not just beauty, but also strength.” She became an advocate for the Juvenile Diabetes Research Foundation when she learned at eight years old she had the disease. Her talent: Her music has a way of touching people because the things she writes about come from real feelings and circumstances. “Nobody views the world through the same lens that you do and therefore you will always have a unique story to tell.” She writes her own songs based on how she sees the world and sings with a voice that is sweet and smooth, like silk. While she is already on her way of becoming a household name, right now Carrie feels humbly thankful that her music has been received so well. 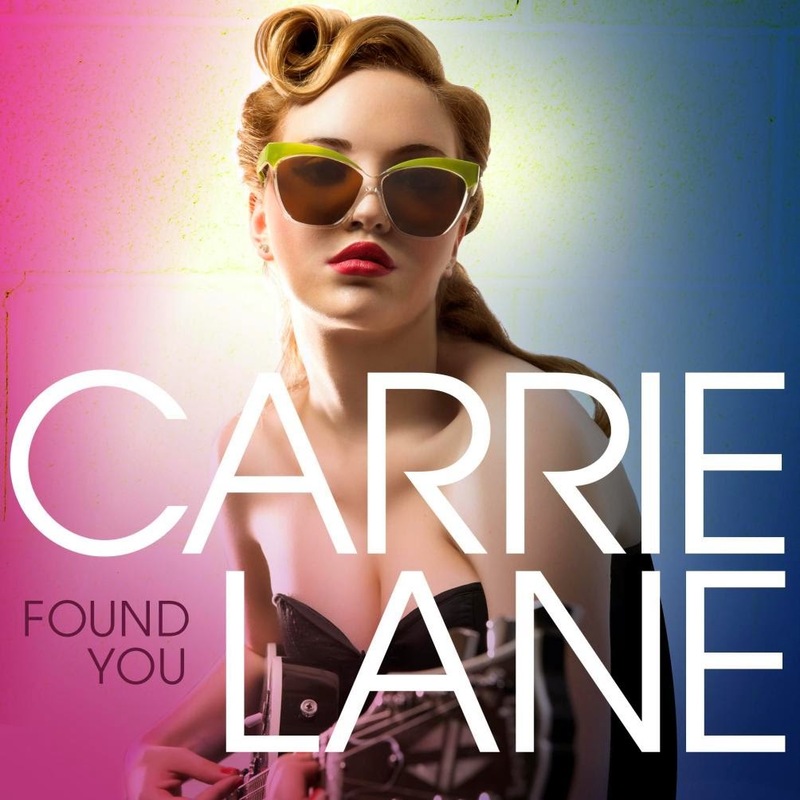 Her new single Found You has debuted recently with fabulous reviews. 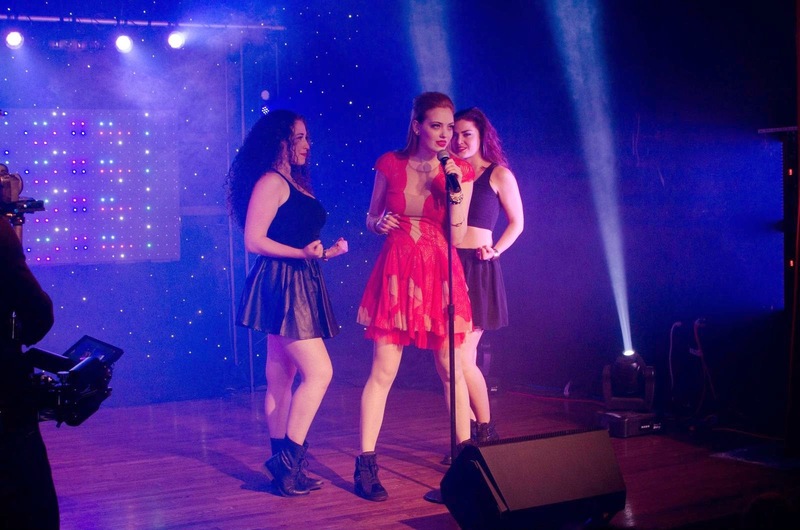 Carrie Lane’s talent earned her the privilege of opening up for Deleasa on their tour this summer and with The Reality Dance Jam. My favorite thing about Carrie, aside from her beautiful singing talent, is that she has set an example as an artist who chooses to give. and many more to be added soon. Giving back has never been so much fun. Money raised from this event will go to buy brand new clothing for the children at Family Promise shelter. 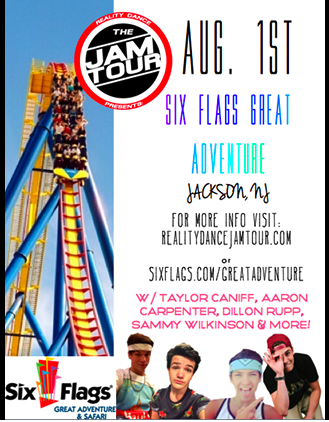 Ticket grants you access into the show as well as a Meet & Greet with our performers. What does it mean to be cool? The very definition of cool is calm, composed and under control, which easily describes the talented and fun Joe and Lenore Luca. The Brother-Sister team co-host a weekly web series Keeping up with Cool. This web series is jammed packed with hot topics, trends, DIY projects, and interviews. They most recently have chatted with musical guest, Mandy Jiroux, Tiffany Houghton, Sammy Wilkinson, DJ Carnage, Carrie Lane and Jacquie Lee. 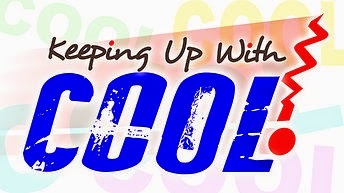 Keeping up with cool can be heard on First Run Tv, on ROKU, and on their Keeping up with Cool website. They are also proud to announce that Keeping Up With Cool will now air on your local tv stations. In just a few short months, Joe and Lenore, have established an impressive following and fan base with each having over 7,000 followers on Twitter and Instagram. 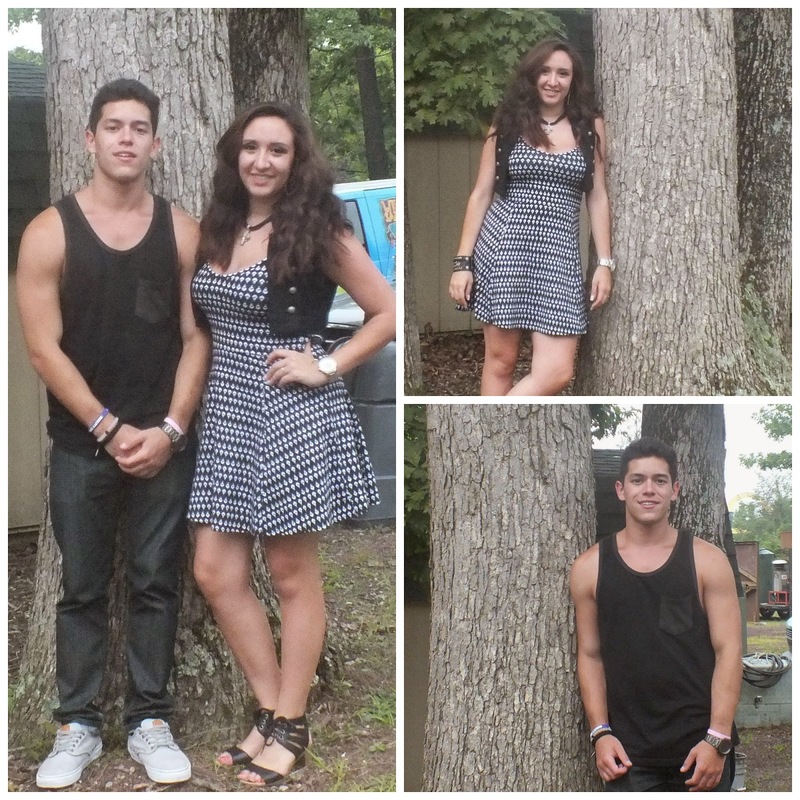 They are recognized for interviewing hundreds of notable musicians and professionals including big names such as Nicole “Snooki” Polizzi, The Band Perry, Coco Jones, Kate Gosselin, Jenna Rose, The Janoskians and many more. Their show reaches over 700,000 people. 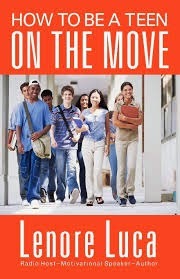 When not interviewing celebrities, multi-talented Lenore, Author of “How to be a Teen on the Move” works as a motivational speaker for teens. She visits schools to connect with teens, inspiring them to build bright futures for themselves. Star Dog, being an advocate of encouraging teens to give back, is proud to know Joe and Lenore Luca. We are proud of the great things Joe and Lenore are doing and excited for their success. They are innovators for their generation and we think that is very cool. 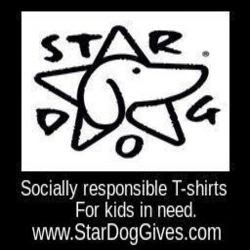 with Star Dog Enterprises to help provide clothing to the homeless on Oct 19. 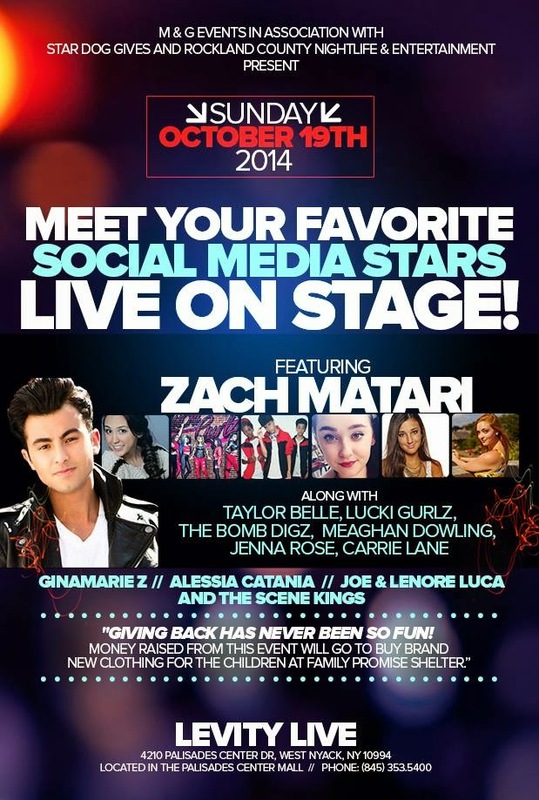 Our Social Media Stars on Stage show is an event design to help build awareness of Youth homelessness. Joe and Lenore are 2 of New Jersey’s rising stars with their one year anniversary Celebration in the works. Star Dog will be tuning in! Lenore is a 20-year-old junior at Montclair University majoring in broadcasting. Her brother, Joe, is 18 and entering his first year as a Biology student at Temple University this fall. 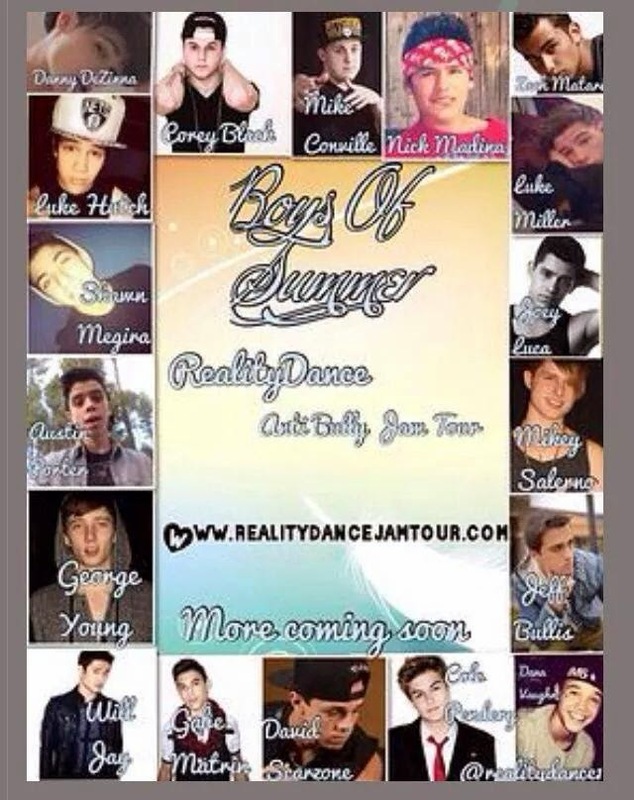 "We don't bully, we just dance"
The Reality Dance Jam Tour. The Reality Dance Jam Tour consists of an impressive group of young people dancing and singing while spreading the anti-bullying message. This unique concert allows the fans the opportunity to interact directly with popular artists from YouTube and other social media platforms. The concert lasted all day, and fans with a VIP ticket were treated to a meet and greet with the artists before the show. featuring Boys of Summer as well as Zach Matari, Jenna Rose, Carrie Lane, Karina Rae, 3Union, Say it Say it, Tanner Zagarino and so many more. and Danielle Grosso. They did a wonderful job of keeping the crowd engaged and motivated. The show featured lots of athletic dance moves, fancy footwork, blasting beats and fun group numbers. 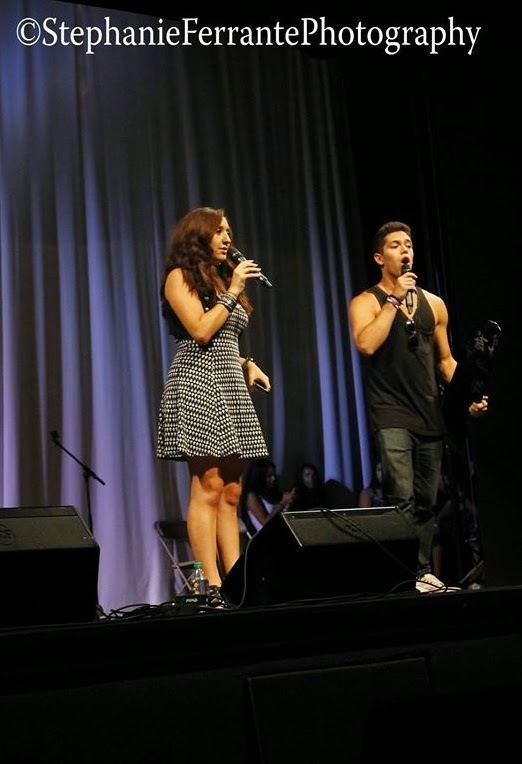 Talented and powerful voices from up and coming recording artists filled the room. From the show opener to the closing act fans were given an upbeat and spectacular performance which had amazing energy from start to finish. The crowd consistently appeared happy and entertained. The show organizer deserves kudos for giving these talented young people a platform to express themselves through music and dance. Star Dog appreciates the Spreading of a positive message and showing us, of all ages, that dreams can come true with hard work and kindness. The Reality Dance Jam Tour is good entertainment for dance and music lovers or anyone in the mood for a good time. Check out their tour schedule for a show near you. Check out photo's from the concert event below.